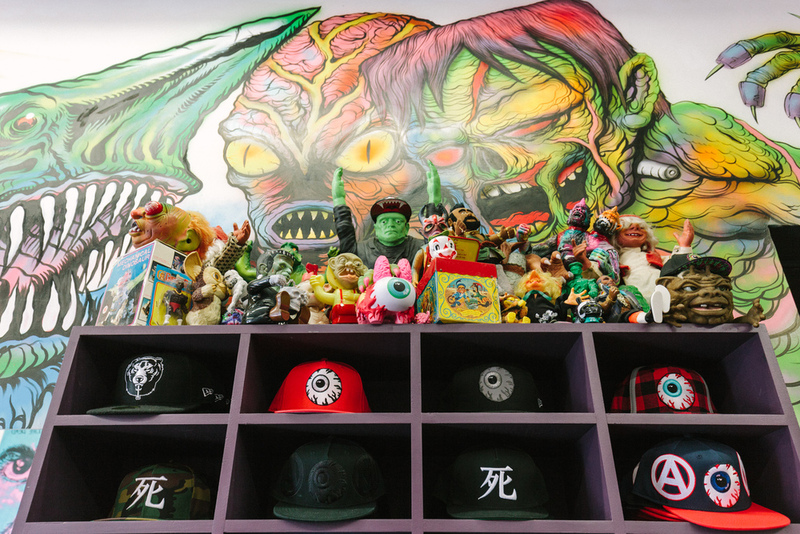 Sad news this past week as Greg Mishka announced the closing of both the New York and Los Angeles MISHKA stores. MISHKA was the one brand that made me excited about streetwear at a time when everybody and their mothers seemed to be getting into it. In a market saturated with graphic tees, MISHKA kept it real with really great illustrations, wild colors, and a solid lineup that really highlighted just how much weird could really sell. And it sold a lot, allowing the brand to expand to 4 distinct retail locations. But alas, the dream was a tough one to keep up. Very soon, only the Tokyo store will remain, solidifying Japan as the only place to get really weird. Anyway, I just happened to be in LA during this sad announcement so I stopped in and got myself some photos of the store. From Echo Park to La Brea, this store had a great run. See you online, MISHKA LA!